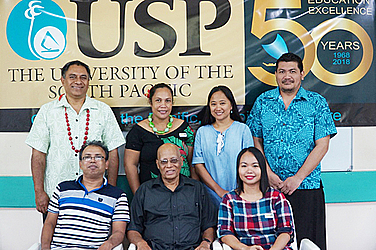 Preparations for U.S.P’s Golden Jubilee Celebrations have begun in earnest at Alafua Campus as a regional Campus of the University. Prominent among these events will be a march past on June 13th, where staff, students and alumni are expected to participate. The March will commence at 7.30 from the Fire Station and end at the Government Building where a speech by the Pro-Chancellor will be delivered. 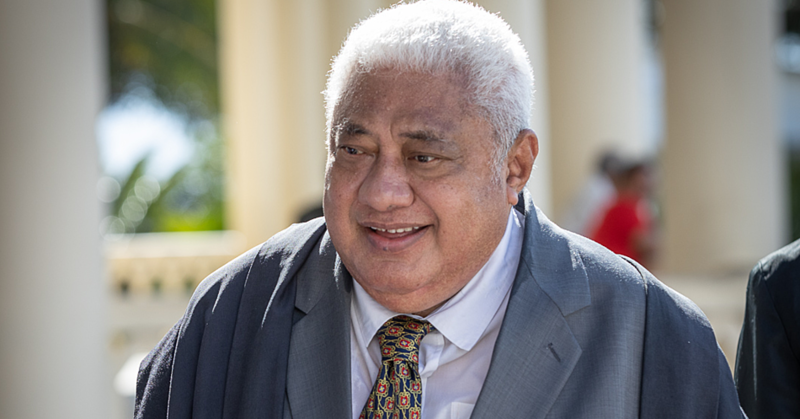 A statement said the Prime Minister, Tuilaepa Sa’ilele Malielegaoi is also tentatively scheduled to give a speech, pending confirmation from his office. An event that will hold great significance for the Campus will be the Parliamentarians’ graduation on June 14th at 10 am. This is a first across all U.S.P’s regional campuses, and as such, it is Alafua Campus’s moment to shine. Throughout the week-long celebrations, there will be displays on Campus which will feature a public display from the U.S.P. the institution on research achievements and the 50-year passage of U.S.P. These will be displayed on Alafua Campus. On its own, the Alafua Campus will have a book launch, publically display its key publications, and hold a 3-minute thesis presentations spree for its current MA and PhD students, where they will talk about the objectives, methodologies, findings, conclusions and recommendations of their researches. This will happen on June 12th. As part of the celebrations, the Campus will hold its 2018 Open Day on Friday June 15th, from 10am-2pm. On this day, the Campus will showcase its offerings in terms of courses and programs, and also its services and other programs, including those based on and beyond the agriculture discipline. Campus achievements will also be highlighted, especially in terms of undergraduate and post-graduate student enrolments which have grown steadily lately, the library and its latest acquisitions, the number of campus publications and publications, upgraded student and staff facilities in the form of desks, computers, etc., laboratories, lecture capture and online delivery facilities. Something to look out for are two state-of-the-art-equipment recently acquired by the campus for analysing plant and soil nutrients, in its quest for its students to engage in quality learning. 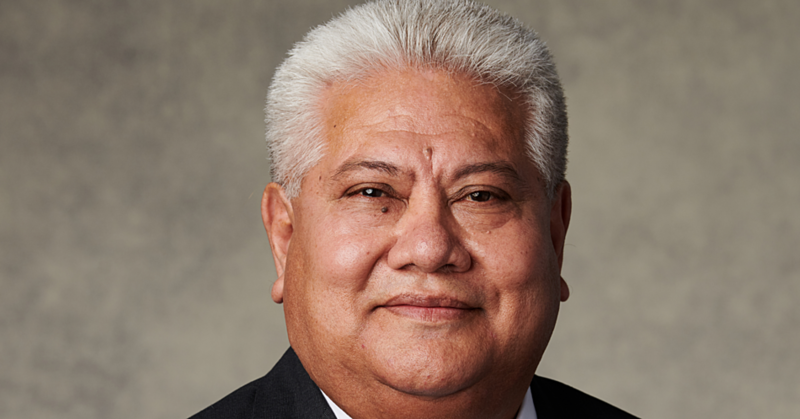 Since online is increasingly becoming the key delivery mode at U.S.P., there is much anticipation about the possible positive effects of the Tui-Samoa Cable on online teaching and learning, once this is connected. Also to be displayed will be the fifty food products developed through the food technology aspect of the Campus’s School of Agriculture and Food Technology (S.A.F.T. ), and these include breadfruit chips, jams, ice cream, cookies, teas and such. All these and much more will be in store to wow the public and potential students during the celebrations. The University of the South Pacific (U.S.P.) celebrates its 50th Anniversary this year—2018, having welcomed its inaugural cohort of students on Monday, 5th February, 1968. Founded as a regional university co-owned by 11 Pacific countries at a time when several Pacific nations were striving for independence from colonialism, U.S.P. was regarded as key to the reinstatement of autonomy within the Pacific. Three main factors driving U.S.P’s establishment were the need to fill the leadership gaps left by the retreating colonial leaders; the rapid expansion of tertiary-level education in the 1960’s; and a prevailingly healthy economic climate which enabled strong financial backing by the economically strong, retreating colonial powers. Since its inception, U.S.P. 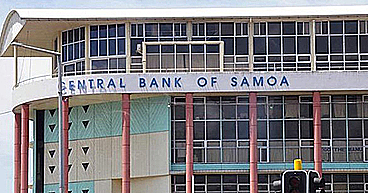 has grown in breadth and depth, shaping the Pacific region for the better, in its progress. Underscoring U.S.P’s 5-decade growth is its emphasis on quality as the hallmark of its strife from being a good to an excellent university. Original cohorts of 200 in 1968 and 49 graduates in 1971 are echoes of the past, buried deeply under current cohorts of 35,000, and about 50,000 alumni worldwide, as of November 2017. Growth in course and programme offerings also jumped from just the 2 Preliminary Certificate programs in 1968 to courses currently numbering in the 1000’s, with program numbers not far behind. Currently, U.S.P. has twenty six international accreditations, with 10 programs internationally recognised. Importantly, U.S.P. is also on the path to W.A.S.C. Senior College and University Commission (W.U.S.C.U.C.) accreditation at institutional level, which is not only a quality assurance exercise, but will help improve the access of U.S.P. graduates to employment in the US market. To ensure that its students are quality graduates, U.S.P. has developed a set of graduate attributes for them to internalise and define them by upon leaving the university. The graduate attributes form the basis of U.S.P’s institutional learning outcomes and the programme and course outcomes. Fifty years on, U.S.P. is a source of immense pride for the region, which has nurtured its development from simply being an autonomous university in the region to its current status as a world class tertiary provider. It’s regional character, reflective of its 12 member countries, makes U.S.P. a dynamic centre of learning, teaching and research. With at least one campus in every member country and world class I.C.T. infrastructure, U.S.P. gives Pacific Islanders access to a high-quality educational experience.